Come out to the beautiful Texas Hill country for Fall Family Camp or Winter Family Camp! At our weekend getaways for the entire family, you can have fun, see what Camp is like, and spend time with old and new friends alike! Our Fall Family Camp is geared for families with children ages 3-10 years old. If your family has older children (ages 8 and up), join us for our Winter Family Camp! 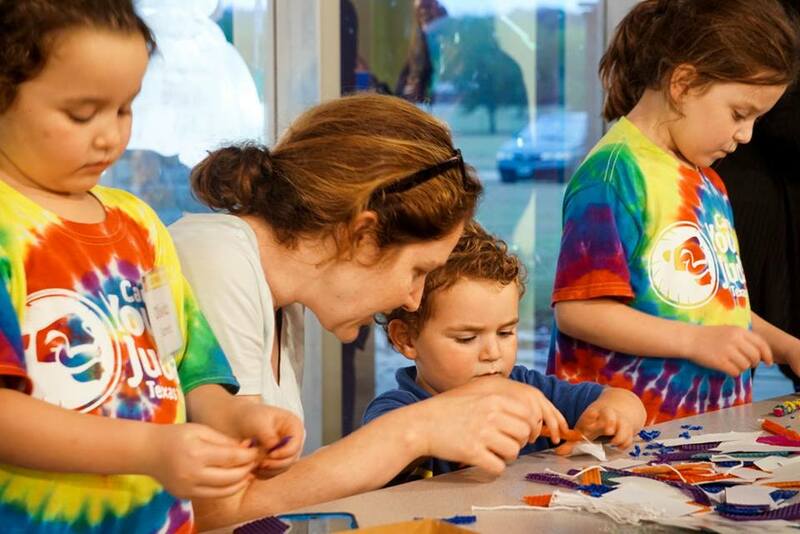 At Family Camp, we create a relaxing Shabbat atmosphere with a variety of activities for the whole family. You’ll get to hang out at the pool, play sports, and enjoy programs for all ages. Don’t miss our special Saturday dinner and fun night, the relaxing escapes in the great outdoors, and the soothing presence of our warm campfire. For a better idea, check out a sample Family Camp schedule. Participating families lodge together at night and spend the day enjoying programs geared towards the whole family’s participation. At select time periods, we will have babysitting available for younger children, as well as exclusive activities planned for adults and kids separately, (all ages welcome!). Family Camp is not the ONLY retreat open to our families....learn more about all of our year-round retreats for men, women, families, and kids.